The ocean is a minefield of terror, but you already know that by now. But lurking in the most cavernous depths of Earth is one fish so ghastly it'll likely make you reconsider the divide between our own reality and hell. 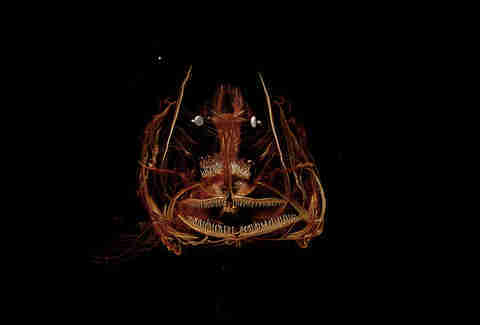 Researchers for the last three years have been studying the Mariana snailfish, the deepest dwelling fish ever observed. First caught in 2014, the creature resembles more of a cancerous, snot-wad than anything you've probably associated with fish. 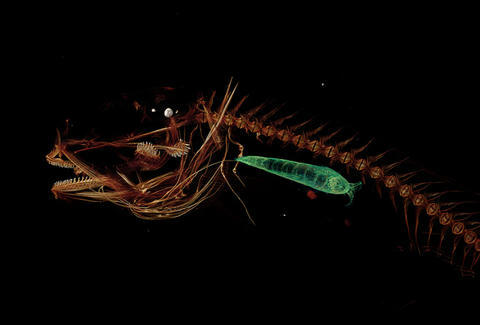 In a new paper published in Zootaxa, researchers publicized their findings for the first time, probing (ostensibly) whether the fish's natural habitat is a literal portal to the underworld. Marina snailfish inhabit the Marina Trench near Guam, and feed on crustaceans and shrimp at 26,686 feet below the ocean's surface. This sounds like something a demon might do. While the ocean's deepest fish might reach a new record for unprecedented creepiness, it actually doesn't get that much better on your journey upwards towards oxygen and the light of day. Trust us.